← Chipper B’s Saga Ending Soon? 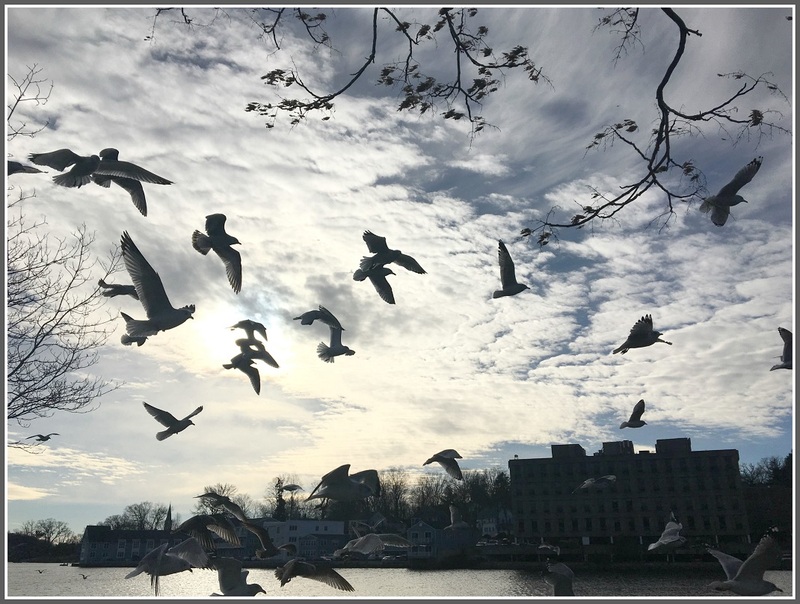 This entry was posted in Downtown, Environment, Pic of the Day and tagged Saugatuck River, seagulls. Bookmark the permalink. Terrific photo but scary! I’m glad I was indoors! A common mistake, Dan – they are not seagulls, just gulls. In the popular “Peterson Firld Guide to Birds of Eastern and Central Notth America”, you won’t even find “seagull” in the index. They’re all gulls , especially the ones that hang around fresh water lakes. Thanks, Joyce! I stand (fly) corrected. Hi: My name is Tippi Hedren and I still hate those effing birds!